Intermodal trailers saw the largest increase of any segment, rising 10.6% year-over-year, IANA reported. At the end of 2017, 17.9 million trailers, containers and other equipment were shipped intermodally. A year later, that number jumped to 18.9 million. The surge had a variety of causes. For one, shipments began pouring into the West Coast to beat new tariffs that President Donald Trump may add, the report said. Another cause was tight trucking capacity, which will be better in 2019, but intermodal volumes still will grow, the report said. Yet before the report came out Feb. 1, intermodal sector officials were buzzing about the growth. During the Jan. 22 earnings report, J.B. Hunt Transport Services Inc. officials noted that intermodal rates might outpace trucking rates. This demand could mean an unusual trend in pricing. “I think you could see a scenario where intermodal rates could be higher at the end of the year in terms of overall rate increases than truck, which is different than what we saw in 2018,” Matthews said. 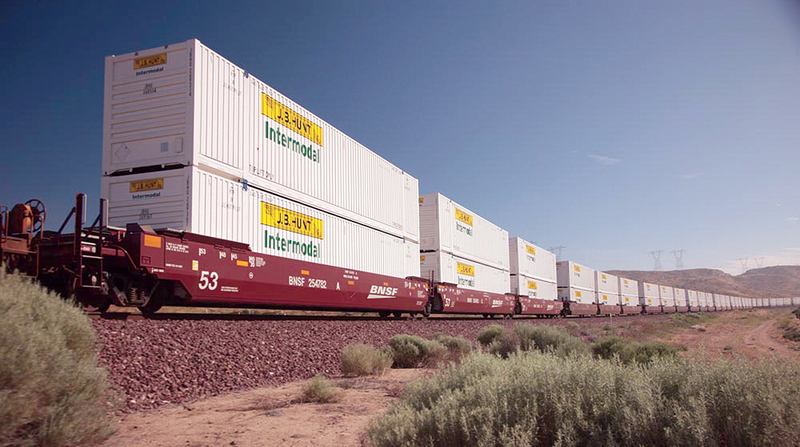 J.B. Hunt officials said they saw intermodal revenue per load increase to $2,463 from $2,129 due to those higher rates. A week after the conference call, Matthews and Jeff Heller, vice president of intermodal and automotive at Norfolk Southern Corp., discussed intermodal trends and challenges at SMC3’s annual conference held in Atlanta Jan. 28-30. 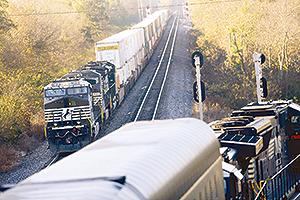 Heller noted the disruption that full implementation of electronic logging devices have had on intermodal and, in particular, on shipping in the Midwest. New regulations have turned a one-day shipping trip from Chicago to Columbus, Ohio, into two days of work. That problem caused some shippers to turn to intermodal methods. Matthews said the new demand has caused freight companies to try to force more throughput through the same terminal footprint, leading to his concern about terminal capacity. Another concern for J.B. Hunt has been the driver shortage, which is particularly pronounced for short drayage trips of about 250 miles, Matthews told SMC3 attendees. He said J.B. Hunt has raised driver wages in the Midwest between $12,000 and $15,000 a year, something he has not seen in his career. The result was 30% of its new drivers had not had a driving job within 90 days, meaning some drivers had been pulled back into the industry.